With both mainstream presidential candidates publicly stating they believed in the white supremacist notion of school choice, it wasn’t hard to see the Trump nomination of someone as extreme as Betsy DeVos as being possible. How these abject, failed policies play out in reality is instructive. 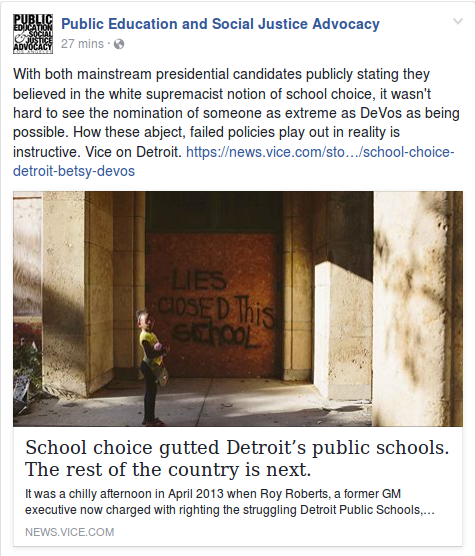 Vice on Detroit: School choice gutted Detroit’s public schools. The rest of the country is next.